Concert, sporting and other event tickets can go for astronomical prices — when they’re even available. 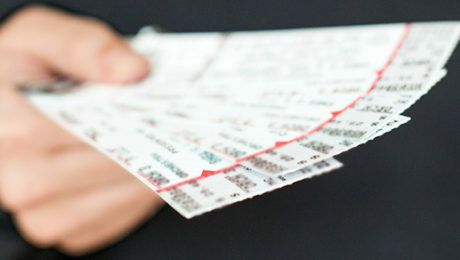 Hoping to find reasonably priced tickets (or to find tickets at all), many consumers turn to the online resale market. But while most resale transactions are legitimate, some involve ticket scammers. Buy from one of these sellers and you may end up with stolen or counterfeit tickets. And if you’ve indeed been sold stolen or counterfeit tickets, notify law enforcement and report the incident to the Federal Trade Commission. You may not get your money back, but you’ll help prevent criminals from fleecing other unsuspecting ticket buyers. You can protect yourself from losing money on ticket scams by buying tickets only from agents that accept credit cards. In the event of fraud, most credit card issuers will refund the cost of your tickets and pursue collection with the seller. Contact us at 205-345-9898.